For Immediate Release Nov. 3, 2016. The all-party committee on electoral reform (ERRE) has just finished four months of expert and public consultations. They will make their recommendation to Government by December 1st. Of the ERRE witnesses with a position on voting systems, 88% recommended Proportional Representation. This reinforces the findings from decades of research from around the world and of 13 previous electoral reform processes in Canada, including two thorough and impartial citizens assemblies. Over the next few days the ERRE will negotiate a recommendation for a new electoral system for Canada. The final report is due on December 1. 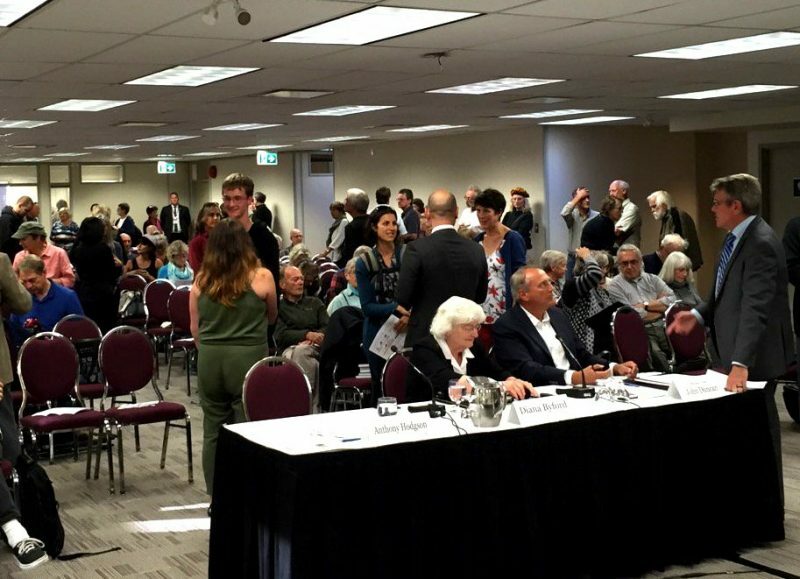 From coast to coast, Canadians lined up at the ERRE open-mic sessions asking that the committee keep the promise and deliver PR. According to data released this week by the NDP, out of 428 participants who spoke up, 374 (87.4%) called for proportional representation. 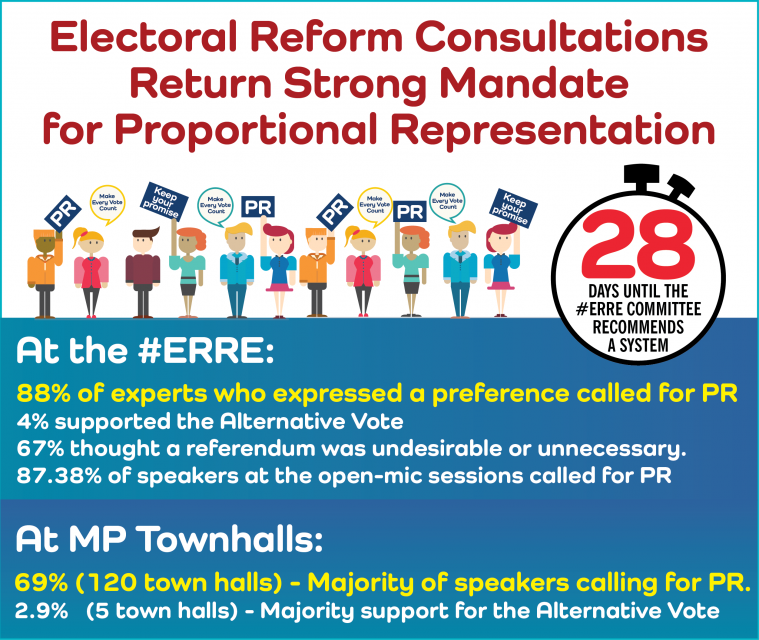 69.4% (121 town halls) – Majority of speakers calling for proportional representation. 6.5% (3 events) – Report does not allow any majority view to be identified. We are aware of at least 15-20 other community dialogues that are not yet posted on the ERRE site.